Work can be a daily grind--a hard, monotonous set of thankless tasks. In the midst of the ongoing toil, many are plagued by a lack of purpose, confused as to what to do and who to become. And while some of our vocations may seem more overtly meaningful than others', the truth is that most of us work because we have to. It is a means to an end--survival. Given the enormous amount of time each of us spends working, we would do well to understand our callings and how God works through them. 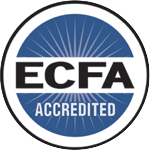 What does it mean to be a Christian businessperson or a Christian artist or a Christian lawyer, scientist, construction worker or whatever? How can I know what I am supposed to do with my life? What does it mean to raise a Christian family? And what if I don't have kids? 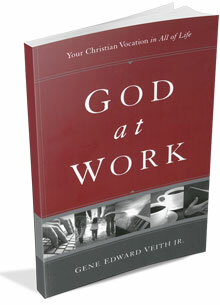 Unpacking the Bible's teaching on work, Veith helps us to see the meaning in our vocations, the force behind our ethics, and the transformative presence of God in our everyday, ordinary lives. Gene Edward Veith Jr. (PhD, University of Kansas) is provost and professor of literature at Patrick Henry College and the director of the Cranach Institute at Concordia Theological Seminary. He has been a columnist for World magazine and TableTalk, and is the author of a number of noted books on Christianity and culture, including God at Work. Authors: Gene Edward Veith, Jr.